This week has been a really successful and positive one! Kyro's suture area is healing up beautifully after having the staples out and his hair is coming back pretty quickly. It's still pretty thin/sparse so I am continuing to avoid it being in the sun for extended periods of time. He's beginning to put more and more weight on the foot and the limp is becoming a little more minor. It'll still be some time yet before he's using it fully with comfort and confidence. We've made great progress with rebuilding strength and muscle in his leg so far. Walks started at 5 minutes (2x) a day, increased to 10 minutes (2x) a day and now we are at 15 minute walks (2x) a day. I've been going 100% at his pace and comfort level to ensure he's adjusting and not overdoing it. 15 minutes at 2x a day right now seems to be the sweet spot. I'll maintain this for a week or as long as he needs and then work up to 20 minutes. Once he's reached the 20 2x a day mark I will start introducing a 3rd walk and maintain that for awhile. Eventually we will work up to 2-3 30 minute walks a day and that will be where he maxes out for awhile. The next step after rebuilding enough strength will be to start hydrotherapy. Hydrotherapy will be able to be introduced once the orthopedic surgeon feels Kyro is ready for it. 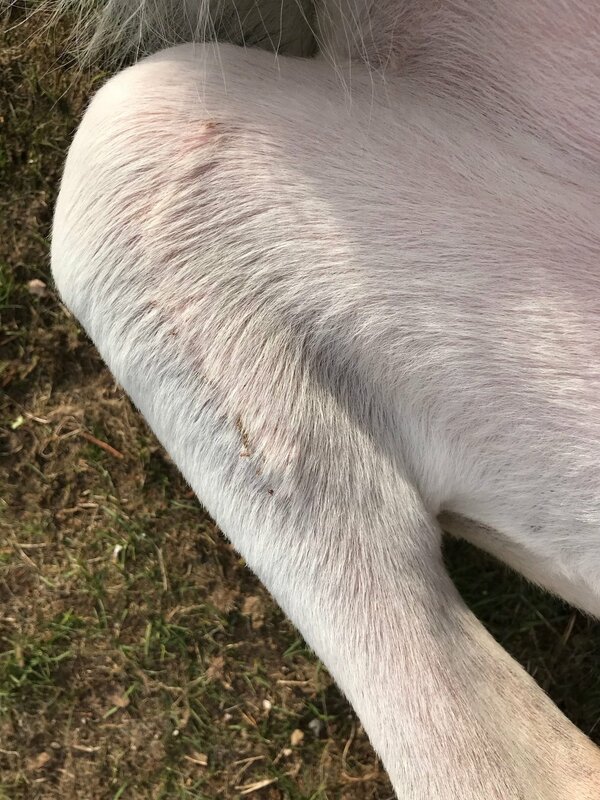 Also, once his suture area can be exposed to water without puckering or causing issue. He'll start with the water treadmill hydrotherapy first. The amount of sessions will be determined by the DR based off what he feels he needs. Once he finishes those sets of sessions I'll be returning to his swimming hydrotherapy and acupunture at Splash Dog! Aside from the introduction of exercise... one of the most exciting things that has happened is Kyro has finished his antibiotics. He also no longer needs his pain medication and is completely comfortable on the CBD oil with his anti-inflammation meds. Thanks to being off his medication and back on his raw diet- his appetite is back and it's no longer a struggle to get him to eat. This has greatly improved his energy levels and overall mood. Dovah has continued to have playdates with his buddy Max to help him stay calm while Kyro is recovering. He also had a playdate today with his two husky friends and a 12 week old puppy they were puppy-sitting. He had a blast! The reintroduction to having his Brother walk with him has certainly been a huge help. Dovah loves to be with his Brother. 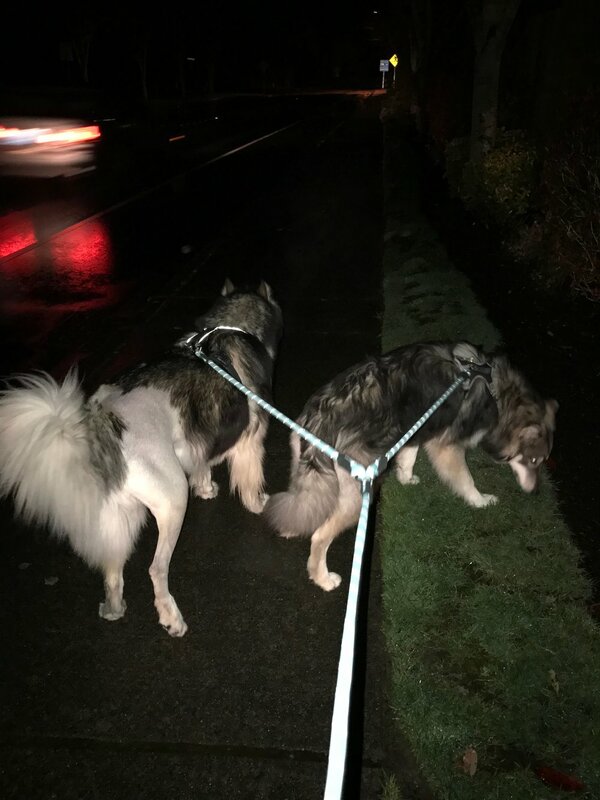 Being able to walk them both together again has been a huge benefit to them each. I have been also taking him on mini-adventures and working with him indivually to keep his mind off the fact that his Brother can't currently play. Kyro was in such a good mood on one of our recent walks that I was even able to do a little mini photoshoot with them both. He got treats and loves to be in front of the camera- it almost felt like things were back to normal. Slowly, but surely. That's all for this week! The next few weeks of updates will be mainly documenting his rehabilitation walk wise until his 4-6 week follow up radiographs and approval to begin hydrotherapy.